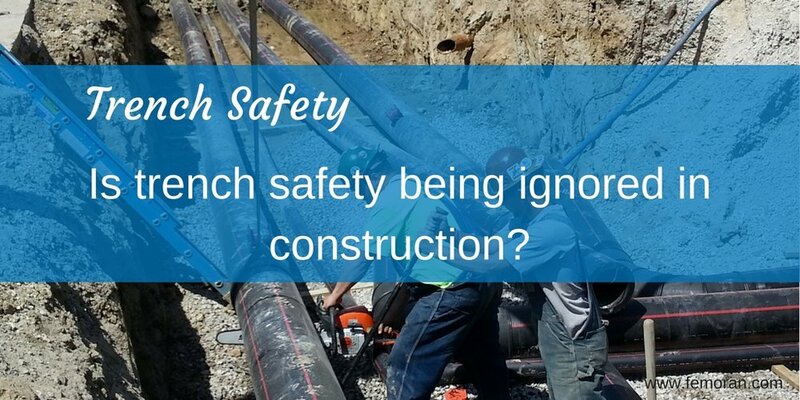 Trench Safety - Is trench safety being ignored in construction? Kansas City -- Last year, D.J. Meyer died in a trench accident while working for a plumbing company. That company received $700,000 in fines from the Occupational Safety & Health Administration (OSHA). OSHA claims that the company seriously and willfully neglected the trench safety rules. Jordan Barab, the former deputy assistant secretary of labor for OSHA said this is, "sad and infuriating. He continued, "Being put in a position to choose between your jobs and your life is not a position anyone should be in." The White House has not appointed a permanent leader for OSHA and this has caused some issues for the department. OSHA's rule making agenda has been cut in half by the current administration. On top of these issues, the administration also cut the budget for OSHA. OSHA is at a point where they are considering rolling back regulations because they don't have the budget to implement them. What can companies do to keep their workers safe in trenches? Sloping or benching - forming an incline on the sides of an excavation. Shoring - Using site built structures made with timbers, planks, or plywood to support the sides of an excavation. Shielding - Using trench boxes or trench shields to prevent the walls from collapsing. Read more of the trench safety regulations here. Newer PostHospital Fires: What are the hazards?